Answer: This line launching device is really just another form of the old “potato guns” that were popular for a while until they were outlawed in public areas. According to California Department of Fish and Wildlife (CDFW) Lt. Dennis McKiver, potato guns are legal under federal law. Under state law, potato guns that use combustion (instead of compressed air) to launch the projectile are “firearms,” and one with a bore of over 0.5 inches is a destructive device. Pneumatic potato guns like this one use compressed air and are legal as long as they are not used like a weapon (e.g. shot at a person, etc. ), so this line launching device would be legal under state and federal laws. However, you should check for local city and county ordinances because some local governments prohibit use of any devices that propel projectiles, and if you intend to use this line launching device on any state beach, you may also want to consult State Parks. As far as using it to cast a fishing line, nothing in the Fish and Game Code or its implementing regulations prohibit using this compressed air launcher as long as the fishing line is attached to a rod and reel, or a person is brave enough to hold the other end of line in their hands! What to do when catching invasive fish species? Question: What should we do when we catch invasive fish in local lakes? Specifically, Balboa Lake in the San Fernando Valley remains warm enough in winter to support some tropical fish. Certain aquarium fishes breed as well as survive in these waters. The problem now are Plecostomus (commonly found in home fish tanks to eat the algae) that have taken over the lake and the Los Angeles River. Answer: From a biological standpoint, CDFW would like to see these invasive fish disposed of (killed) rather then placed back in the system. 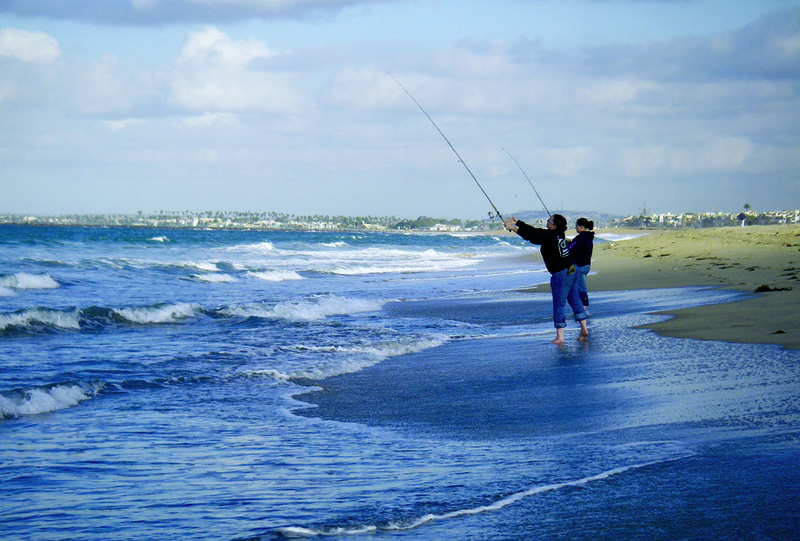 The law prohibits the waste of any fish taken in waters of the state (California Code of Regulations Title 14, section 1.87). This regulation is intended to encourage people to eat any fish they kill, and to avoid needlessly killing fish. But, any lawful use of fish that are legal for sale by an aquarium or pet store would satisfy the requirements of this regulation, including their use as fertilizer for your garden. Here’s something that might surprise you … Plecostomus are consumed by humans in some of their native Central and South American waters. Jackson Landers, author of “Eating Aliens: One Man’s Adventures Hunting Invasive Animal Species” includes a recipe for Plecostomus in this book. Scuba diving for Dungeness crabs? Answer: I saidwhen Dungeness crab season is open, they may be taken by hand via SCUBA but divers may not possess any hooked device while diving or attempting to dive for them (CCR Title 14, section 29.80(g)). Sale of pig mount … Is it legal? Is there a limit on sand crabs? Answer: Yes, it is legal to catch sand crabs with a fishing license statewide wherever fishing is authorized. The limit is 50 crabs per day and in possession (CCR Title 14, section 29.85(d)). This entry was posted in crabs, Diving, Firearms/Ammunition, Fishing, Freshwater Fishing, Incidental Take, Invertebrates, Lines/Rods/Equipment, Methods Of Take, Nuisance Animals & Pests, Pets, Saltwater Fishing, Selling animal parts, Tackle, Taxidermy, Uncategorized, Wild Pigs and tagged crustaceans, fishing tackle, freshwater fishing, Invasive Species, invasives, ocean fishing, regulations, scuba, Selling wildlife, taxidermy. Bookmark the permalink.